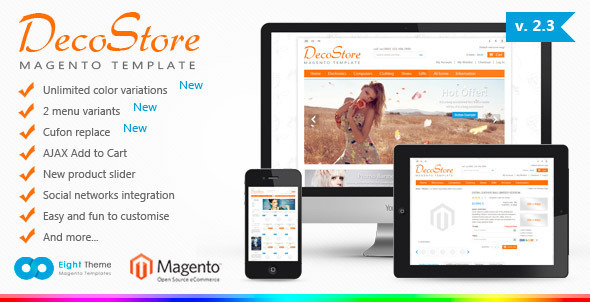 DecoStore is clear, easy to customize Magento template. Many new features such as 2 menu variants, powerful admin module, slideshow, new products display on homepage, extra links and blocks and so on. This Magento template is one of the most powerful and flexible templates at Magento store.